Last week I shared that for the next 14 days I’m (on day 8 now) giving up caffeine, alcohol, sugar, dairy and gluten. I’m doing Dr. Frank Lipman’s Eleven Eleven Wellness cleanse. This entire week I’m going to be filling you in on the WHY’s to which I’m giving up each item. Last week I filled you in on why I gave up caffeine, alcohol, sugar, gluten and now I tell you why I’m ditching the dairy. 1. Does milk reduce fractures? NOPE! Eating dairy products has never been shown to reduce fracture risk. In fact, according to the Nurses’ Health Study dairy may increase risk of fractures by 50 percent! 2. Less dairy = Better Bone Health? YES! It’s True. Countries with the lowest rates of dairy and calcium consumption have the lowest rates of osteoporosis. 3. Sun is more important than Calcium? Kind of! Studies show that calcium supplementation has no benefit in reducing the risk of fracture. It’s been suggested that Vitamin D is much more important than calcium in preventing fractures. 4. Calcium & Cancer Linked? Yup! Research has shown that higher intakes of both calcium and dairy products may increase a man’s risk of prostate cancer by 30 to 50 percent. Plus, dairy consumption increases the body’s level of insulin-like growth factor-1 (IGF-1), a known cancer promoter. 5. Calcium YES, Dairy No…ahha! Calcium supplements, but NOT dairy products, may reduce the risk of colon cancer. 6. People are Intolerant! YES! Approximately 75 percent of the world’s population is genetically unable to adequately digest milk and other dairy products, lactose intolerance. Below are some of Dr. Willett’s conclusions from his studies and research. • Everybody needs calcium, but probably not as much as our government’s recommended daily allowance (RDA). Calcium from diet, including greens and beans is better utilized by the body with less risk than calcium supplements. • There’s no evidence that dairy is good for your bones or prevents osteoporosis — in fact, the animal protein it contains may help cause bone loss! YIKES! • Dairy is full of saturated fat and is linked to heart disease. 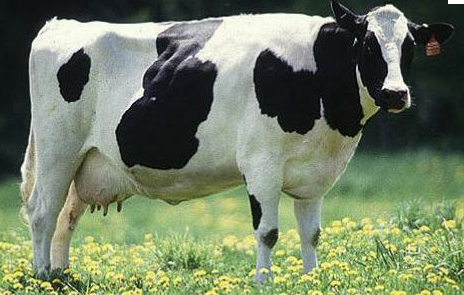 • Dairy aggravates irritable bowel syndrome. Are you convinced yet? If you want to join me in my dairy-free days shoot me a line in the comment section and let me know how you’re doin’!